ENIG is short for Electroless Nickel/Immersion Gold. The ENIG finish has historically been the best fine pitch (flat) surface and lead-free option world-wide. Benefits to this surface finish are; long-term experience/knowledge of the product and excellent shelf life. The typical Nickel thickness is 75 micro inches and 3-5 micro inches of gold. Disadvantages include; limited availability, higher cost and this being the only surface finish that requires a two-part process. Also, if the process is not controlled, quality issues such as "Black Pad" may occur. 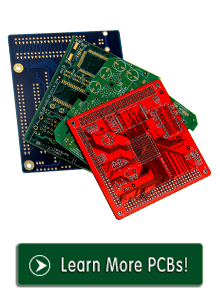 HTD Group manufacture Faster & Higher Quality PCBs. Get Your PCB Price Today!